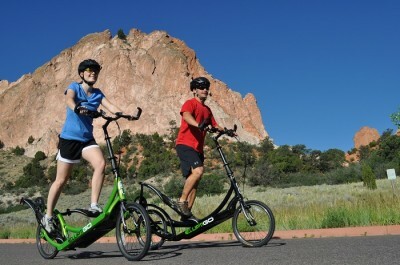 The ElliptiGO Outdoor Cross Trainer is an award-winning and revolutionary cardio machine that we proud to offer our customers. Best described as a cross between an elliptical trainer and a bicycle, this device gives you an all-new way to enjoy an intense yet low-impact workout in the great outdoors. Many of our customers say it’s like riding on air!